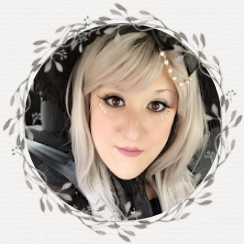 Audrey's life has been planned out for her since she was born, and now she's supposed to attend Whedon College in the fall, where both of her parents work. But Audrey has a different plan in mind: She's not going to attend college at all. She's going to earn some money and move to Seattle, the city she's loved since she was a child. And the best way to earn that money is by working the night shift at the local nursing home. Seth O'Malley works there, too, and a romance quickly blossoms between them. But things get complicated when Audrey saves the life of Cameron Suzuki, Seth's ex. A video of her performing CPR at the beach goes viral, and suddenly, Audrey's wanted for TV interviews and newspaper articles. And just when Audrey starts to love life at the nursing home--and life with Seth--Seattle comes knocking. Does she follow the path she set out for herself, even when it means leaving behind Seth and the cast of quirky patients she's come to care for? Or does she embrace a future with Seth--at least for the foreseeable future--at the cost of abandoning her dreams? 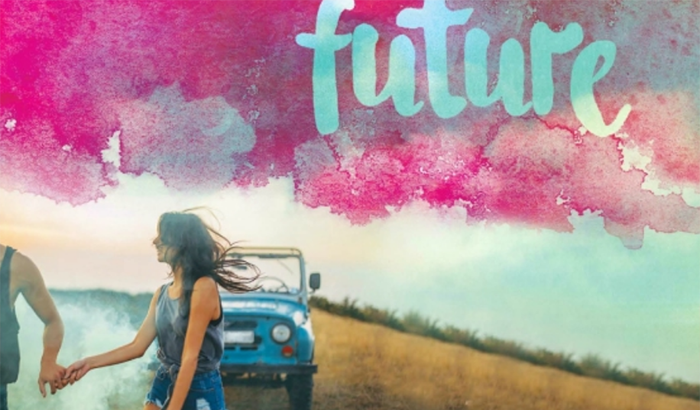 I have a constant hankering for feel-good contemporary romances, so when I was introduced to Emily Adrian's The Foreseeable Future by Penguin Random House of Canada, I felt like it could potentially be the right read to get me out of a reading slump. The Foreseeable Future follows the story of Audrey, a teen who's always had her life planned out for her. Growing up and not being given the freedom to make her own decisions has been tough, and when it becomes time to attend her choice college, she refuses. In a desperate attempt to regain her own freedom, Audrey takes it upon herself to work tirelessly and earn money to move to Seattle, a city that she's always admired dearly. Sadly, her parents aren't so enthused by her plans, and it isn't until she meets Seth that she begins to feel conflicted with her decision to claim a new chapter for herself and move away. "Are you aware that you've gone viral??" I followed the link to my best friend's message. The view count had tripled. First and foremost, I loved the idea behind The Foreseeable Future. The premise beckoned me to read it and devour it instantaneously. I loved that Audrey, a character who had been denied the choice to influence her own life, was finally grabbing life by the reins and forcing it to go down the path she desired most. However, with that said, I found myself having a very difficult time getting to know Audrey. I was left with an overwhelming feeling that there could have been far more to Audrey than this desire to be free. And although I understand that it's the core to Audrey's journey of self growth and exploring what the world has to offer, I still felt that it was impossible for me to get a true sense of who she was. There was no depth to her. Additionally, my overall feelings towards Seth went hand in hand with how I felt for Audrey. I didn't find him quite as likable as I had hoped, but was relieved to have found that Seth was a well-written and interesting character. 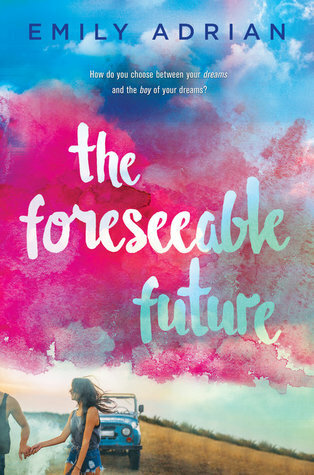 The Foreseeable Future by Emily Adrian, as a whole, was a refreshing book. It posed a tale that I felt many younger readers have encountered or will someday encounter themselves, and gave new perspective on tackling that desperate question of whether or not to make that one big change that could change your life forever. And although I hadn't quite felt like Audrey and Seth were identifiable characters, I did love their dialogue and journey together. The core story behind Emily Adrian's latest, in regards to coming to grips with reality, discovering what we want for ourselves in the future, and even living in the "now" is what truly won me over with The Foreseeable Future. I haven't read any book by Emily but the synopsis is interesting. I love how independent the lead is. I can't wait to see how her life goes in the story.